In most common households, we all have one big problem. That problem is paper clutter. Whether the paper clutter is in plain sight, or hid away in a closet or drawer. Paper clutter can cause unwanted stress, anxiety, reduces productivity, and can affect your ability to focus. However, there’s simple solutions to help reduce paper clutter and they are these 4 apps. What apps will help you declutter your paper storage? Scanner Pro app allows you to organize your pile of papers by scanning digital copies of your documents. You can scan medical bills, paperwork, utility bills, manuals and other important documents to free up your paper clutter. Your digital copies can then be uploaded to your devices, emailed, or exported to photos. Scanner pro has features that will make your scans as readable as possible. This app is fast and efficient. Your important documents can be saved password protected You can also go back and make edits to your documents when needed. File Manager is an efficient app to organize and file all of your documents. You can download your documents from iTunes, importing the files through Dropbox, downloading from your web browser, or your email. You will then be able to combine and organize all of your documents easily. File Manager supports Microsoft Word, Excel, PowerPoint and several other formats. You will never have a problem finding your documents either, because of their search document feature. Keepy, when it comes to children’ paperwork such as artwork and mementos. 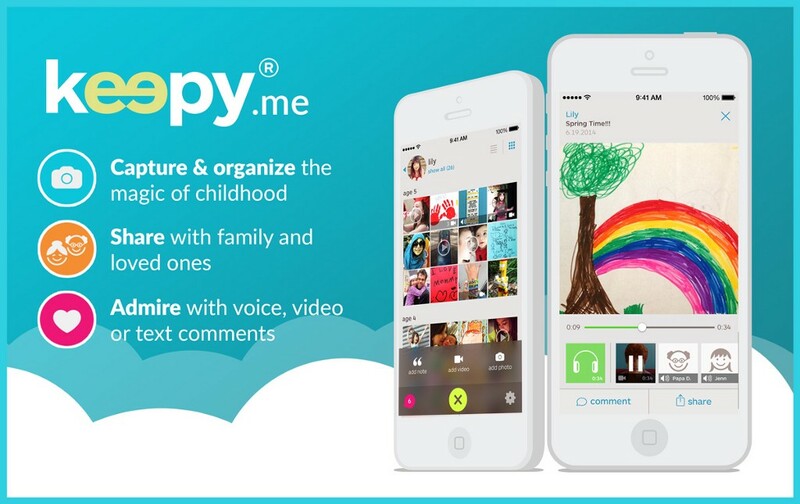 Keepy app is a great place to store all of your family’s memories, pictures, children’s artwork, and schoolwork. You can record your child’s voice, telling you about each photo. All your memories will be stored safe on your own private website. You’ll also be able to privately share your memories with loved ones. Keepy App has a store where you can transform your memories into keepsakes, if you want to keep your photos visible within your home. SwiftCeipt App is great for storing all of your receipts in one safe place. This app also has many features besides just storage. SwiftCeipt supports all email receipt vendors. You can easily access your receipts by searching or scanning UPCs. SwiftCeipt also generates scan accessible barcodes. Which makes it easy for you, when you’re returning items. By displaying your digital receipt to the representative, you will never have to worry about a lost receipt again.